A political decision made in 2011 resurfaced through the release of a heavily censored memo that was uncensored following an investigation by the federal information commissioner. The uncensored portions of the memo shows that the government cut funding to a network that helped it hold credible public consultations regarding policies and decisions, after being advised to do the opposite. You can read that story here. We reported on more than 100 pages of emails showing how spin-doctors and other officials from Environment Canada attempted to “limit information” about an ongoing investigation into an oilsands spill that has lasted more than a year. You can read that story here. We also found out that the company under investigation, Canadian Natural Resources Limited, was providing some of the evidence that enforcement officers would need as part of their probe. This story can be found here. 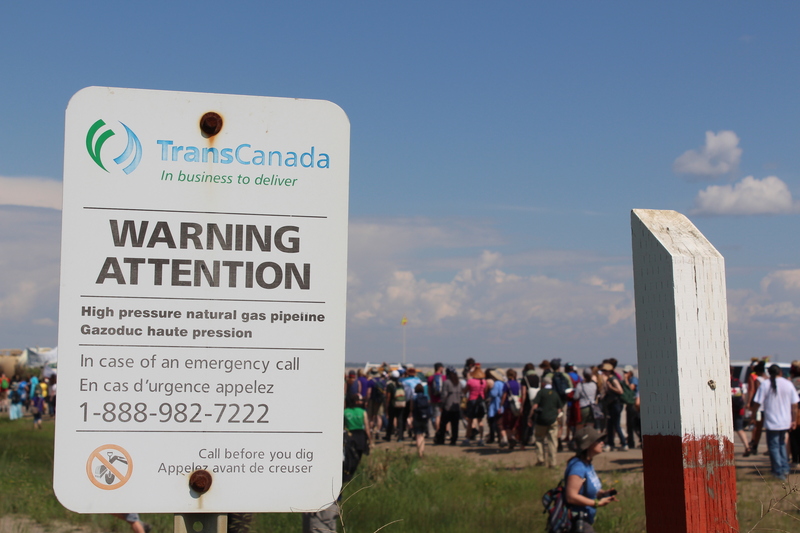 New research by the government showed that a multimillion dollar ad campaign promoting TransCanada’s Keystone XL pipeline had done little more than teach people taking public transit in Washington that Canada and the U.S. are friends and neighbours. That story can be found here. In the course of our research, we also discovered that some of the ads in this campaign were using an image supplied by the company, Alberta-based TransCanada. This story is over here. The Alberta government’s public relations strategy on the same issue also surfaced under American public disclosure laws. It revealed that former premier Alison Redford was the key spokeswoman in a “war” to “neutralize” environmental arguments against the pipeline. This story can be read here. Meantime, Canada’s energy regulator – the National Energy Board – revealed that it had finally started using new powers to fine pipeline operators that break federal rules. This coming nearly two years after the Harper government started a multimillion dollar advertising campaign in Canada stating that it was already fining these companies. This story was published here. We also took an inside look into an American organization, The American Legislative Exchange Council, that had received some funding from Canadian companies, such as TransCanada, and is actively promoting a reduction in environmental regulations and supporting more discussions that cast doubt on scientific evidence linking human activity to global warming. You can find that over here. In other news, we investigated a new federal government email policy that is instructing public servants to delete some work-related emails, including memorandums, copies of reports or any work not approved or accepted by managers. This story is over here. Please stay tuned for more updates and stories on this page. I’ll be posting more news about my upcoming projects and assignments very soon. This entry was posted in climate change, contrarians, muzzling, pipelines, public relations and tagged ALEC, American Legislative Exchange Council, Canadian Natural Resources Limited, climate change, CNRL, contrarians, denial, Environment Canada, Leona Aglukkaq, memo, Natural Resources Canada, oilsands, Peter Kent, tarsands, TransCanada Corp. by Mike De Souza. Bookmark the permalink.